Mrs. Veronica Ulonma Onyegbula who is standing trial for the huge fraud on the police pension scam has told investigators that she made about $544,632 (about N82+ million) from selling pure water through her company Ulover International Resources Limited and not from the pension scam. 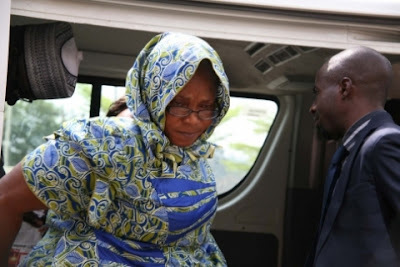 She had earlier written a statement with EFCC that while at the Police Pension office, she was asked to cash a total of N14 billion (insert surprise smiley here) on the instruction of the Permanent Secretary, Alhaji Atiku Abubakar Kigo and the Director, Mr. Esai Dangabar via cheques signed by both men. POINT TO NOTE: Pure water is the new gold!!! i dont knw what you guys are waiting for, open your pure water company today!!!!! unless the pure water is sold to the pensioners as a condition to receive their cheques, or where else can this happen???????? ?